Steven is a registered interior designer with over 30 years of experience in residential and commercial interior design. Early in life, he planned to become a professional concert pianist and studied music at Birmingham Southern College. But he was also drawn to design; he discovered while in high school that he enjoyed the process of creating technical and precise drawings. He ultimately earned a degree in interior design from Auburn University’s School of Architecture. Steven is involved in advancing registration for the interior design profession, both on a local and state level. 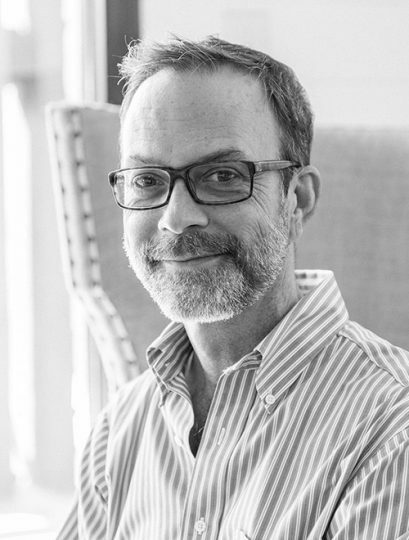 He was Chairman of the Alabama State Board of Registration for Interior Design, President of IIDA Alabama Chapter, as well as Vice President of Regulatory Affairs. Steven’s presence in our firm is unique: his primary focus is interior design for our commercial projects. His favorite project to date? Caliber, an elite sporting store in Homewood, Ala., because it was such a unique opportunity to design for a specialized niche market: retail design. He is currently working on interiors for restaurant design, office design, and multi-family living design.